Marriott Rewards has been sending out emails with a subject line of “A Note About our Transition into One Program”… with a very arrogant tone. The integration presented challenges not to “some” but to Marriott Rewards itself (and still continues) that had them woefully ill-prepared for the challenge using their outsourced IT team from Accenture. It was a complete “amateur hour” compared to any other program merger I have been through so far. China Behind The Marriott Hack? New York Times was reporting earlier this week that methods behind the Marriott hack were same as used by the Chinese government hackers that penetrated number of US institutions earlier this decade. The information gathered were likely then used mainly for espionage purposes rather than trying to use the compromised credit cards or points. On Monday, we launched the last giveaway of 2018! This time the winner will receive $500 gift card for Accor, Hilton, IHG or Marriott/SPG. The giveaway is about to end and you must enter by 11:59PM EST on Friday (December 14, 2018) and we will announce the winner on Sunday. Sheraton Prague Charles Square will exit Marriott system effective January 1, 2019. The last date that you can currently book the hotel on Marriott website is for December 31. The hotel was sold earlier this year for 42.5 million euros to a Norwegian investor that must have new plans for the property. Marriott Rewards had a 29 Ways sweepstakes to celebrate the latest MegaBonus promotion and the combined 29 brands that are loyalty program participating. The sweepstakes itself had some issues and was delayed by a week. Marriott Rewards also changed the number on “instant wins” each member could have during the period to daily (first it was only once). 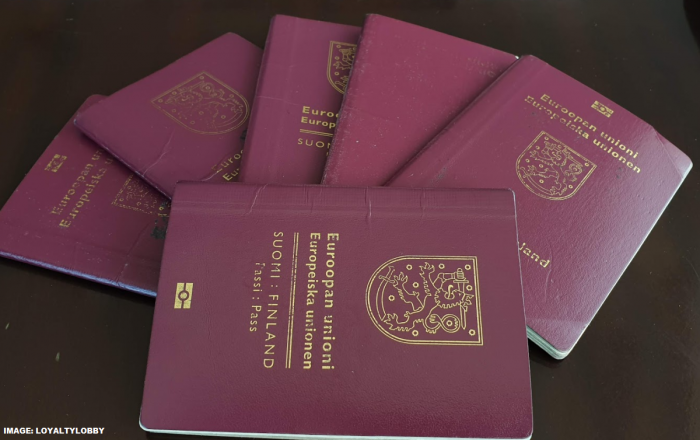 Many websites and reputable news organizations have over the past few days incorrectly reported that Marriott would pay for passport replacements for those consumers that had theirs compromised during the data hack that continued for four years. Marriott still hasn’t even emailed to all members that had their info compromised and is unable to divulge what exactly was leaked if you call one information hotline numbers on the email. It is time for our last giveaway of 2018! This time the winner will receive $500 gift card for Accor, Hilton, IHG or Marriott/SPG. The giveaway is now open and you must enter by 11:59PM EST on Friday (December 14, 2018) and we will announce the winner on Sunday. Marriott Legacy SPG Stay Posting Issue Resolved Or Not? Sebastian yesterday wrote (access here) about his prompt stay posting experience with two Starwood legacy brands in Kuala Lumpur after many complaints from out readers and our personal experiences with long delays and non-postings. He thought that the issue with stay postings must have been resolved that I believe is incorrect. 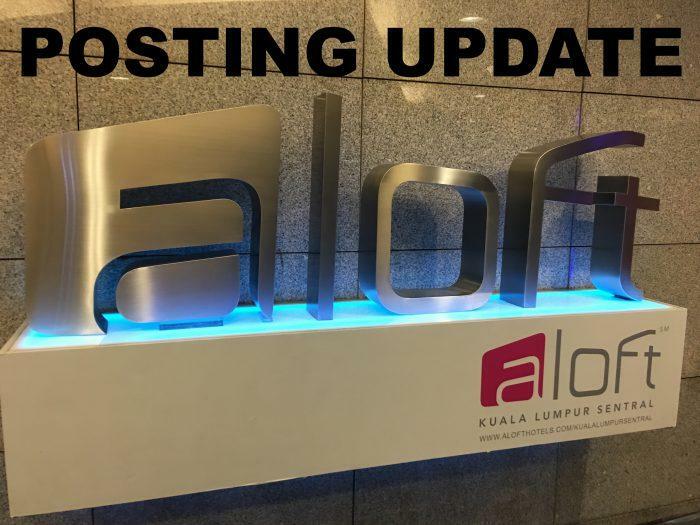 Seems that these two properties where Sebastian stayed at in Kuala Lumpur are more equipped to do manual stay postings in the now Marriott world versus previous automatic ones directly from the PMS in the SPG times. Marriott Rewards and SPG both had separate challenges on their respective programs that were discontinued earlier this summer in anticipation of the program merger that took place on August 18, 2018. There are no status matches offered at the moment. We first wrote about the newly launched Marriott Rewards and SPG Gold challenges on September 4, 2018 (read more here) when we had this as a reader question and then another post on September 28 (read more here). Marriott has now amended the qualification stay criteria for sign ups done on or after October 12. Last month I wrote about the massive amount of complaints we receive about stays completed at SPG Legacy brands not posting to the account either for weeks or they never at all. Remember that you can always email us, send a message via Facebook or use Twitter and include photos too as we’ll try to cover issues related to the merger here as they appear. 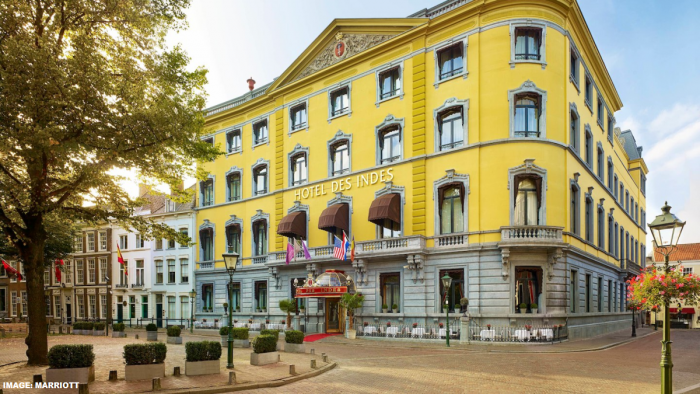 Iconic Luxury Collection hotel in Hague Hotel Des Indes has decided to exit Marriott system effective December 10, 2018. Hotel Des Indes has been in business since 1881 and consists of 92 rooms and suites. Seems that the strikes affecting Marriott hotels around the US for the past two months are finally over. The bay area employees that were the last to strike a deal returned to work on Wednesday pending vote on the tentative agreement. These strikes were highly disruptive for the hotels in question that were unable to provide daily housekeeping service or guarantee that all the F&B outlets were open.